Mitchell Starc has failed to fire in Adelaide. AUSTRALIA paceman Mitchell Starc has been criticised for lacking fire by ex-quick Mitchell Johnson. Starc was largely ineffective when opening the bowling for Australia on the fourth day of the first Test against India at Adelaide Oval. The fast bowling spearhead rarely hit top speed in a four-over spell on Sunday which Johnson says lacked intent. "I just don't like his body language," Johnson said on Sunday. Starc was taken out of the attack with respectable figures at the time of 1-25 from 14 overs but he failed to trouble India's batsmen. When he returned for his second spell before lunch on day four, Starc was fortunate not to be called for wides when he wildly sent two balls down the leg side in successive overs which beat wicket-keeper Tim Paine and flew to the fine-leg boundary for a pair of fours. 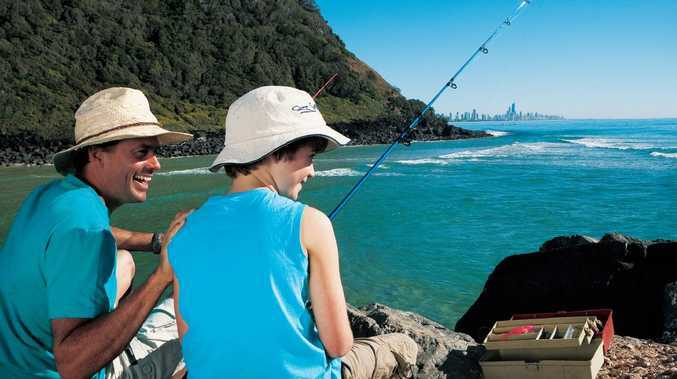 "That last one with the brand new ball, none for nine from two overs, but what's not in the statistic is two lots of four byes that goes against the name, as a blemish, to Tim Paine," former Australian captain Adam Gilchrist said in commentary for Fox Sports. "But Tim Paine was barely in the same postcode." Mitchell Starc had a rough morning. 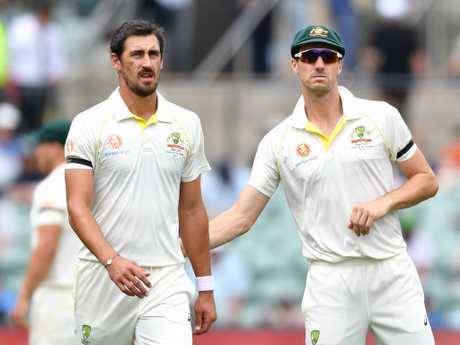 Shane Warne added: "Mitchell Starc strikes me as the type of guy - a bit like Glenn McGrath - the more he bowls the better he gets," the former Australian leg-spinner said. "He just finds that rhythm, he's a real rhythm-type bowler and once he gets into that rhythm he's lethal. "I just reckon this year he's struggled a bit because he's had a lot of time off." He also struggled on Saturday when he didn't bowl for more than two hours, but the Australian camp rejected any suggestions of an injury to Starc. The left-armer took 2-63 from 19 overs in India's first innings and at the end of day one detailed tweaks to his bowling action in the wake of recent injuries. 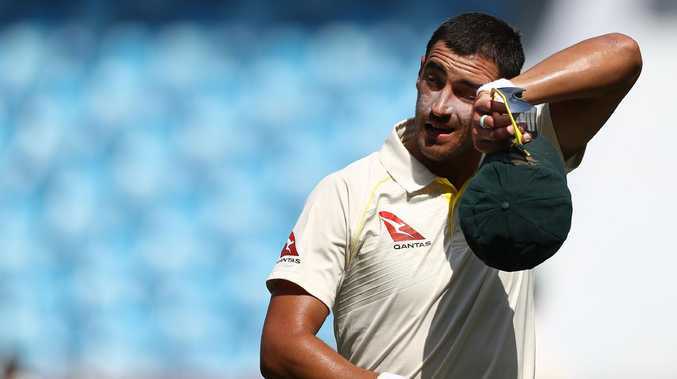 "I have been trying a few different things with (Australian bowling coach) David Saker, looking at how I bowled in 2015 throughout that World Cup and trying to perhaps get over my front leg a bit more," Starc said after Thursday's play. "Little things have worked and hopefully the swing that I have got the last couple of weeks hangs around for the summer. "There's little things I've tried over the last little while that have worked for little periods. "This one seems to be working for a bit longer ... just little changes and perhaps little cues that I used to have and unknowingly went away from."